While we've produced outdoor Shakespeare plays before, this is the first with festival style seating. Here are a few questions you may have (with a few answers). It will be at Newton South High School in the courtyard between Goodwin House and the Field House. Please park in the Field House lot across from the tennis courts or on the street by the athletic fields. Audience will be allowed in thirty minutes before the show starts. Tickets will not be sold in advance. Audience members may pay $5 general admission at the gate. Cash or check made to Newton South High School. We will have seating in sections for blankets, beach chairs, and lawn/camp chairs in that order moving from the stage back. 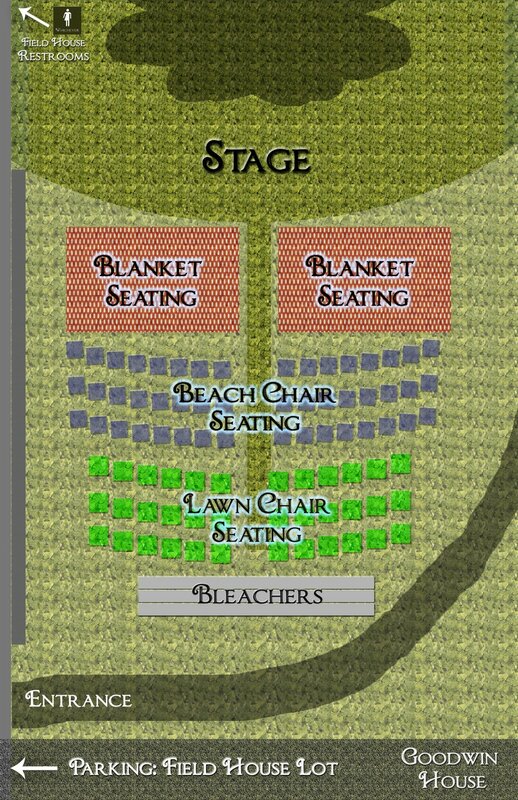 Tiered audience seating keeps people sitting on a blanket from being blocked by a lawn chairs in the front row. Bleachers will be erected at the back of the audience area. Should I bring something to sit on? We will have beach chairs and waterproof picnic blankets available for rent for $5. You may bring your own blankets, beach chairs, or lawn/camp chairs. You can also simply sit in the grass. What are the rental blankets like? They are 58" square and seat 2-3 adults comfortably. Details here. 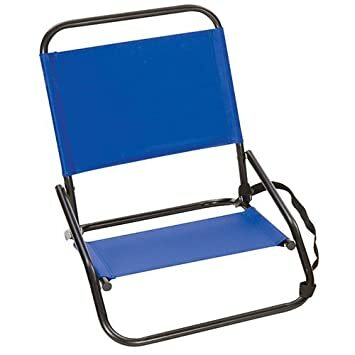 ​What are the rental beach chairs like? They allow an audience member to sit about 2 1/2" off the ground with back support. Details here. Do you rent lawn/camp chairs? No. These seem to be more common. What's the difference between a beach chair and a lawn/camp chair? Beach chairs are low profile with the sitter only a couple inches off the ground. Lawn and camp chairs allow one to sit in the posture of a household chair. We will hold the performance rain or shine. If a downpour makes it impossible to perform, we will move into the Newton South Seasholes Auditorium. If lightning is spotted, we will pause/delay until 30 minutes after the last lightning occurrence. How will I be able to hear the actors? Our student actors are trained to project and enunciate, but they are still developing their skills. Actors will be have headworn microphones for support. The Newton South Speech Team will be selling concessions throughout the show. Consuming alcohol and using tobacco products on school grounds is prohibited. Audience may bring in food, but we'd love you to support our Speech Team. Yes, in the Field House. Is this show handicap accessible? Is this production appropriate for the whole family? Yes, but only for the Thursday and Friday performances. Stay for the petting zoo after the show!